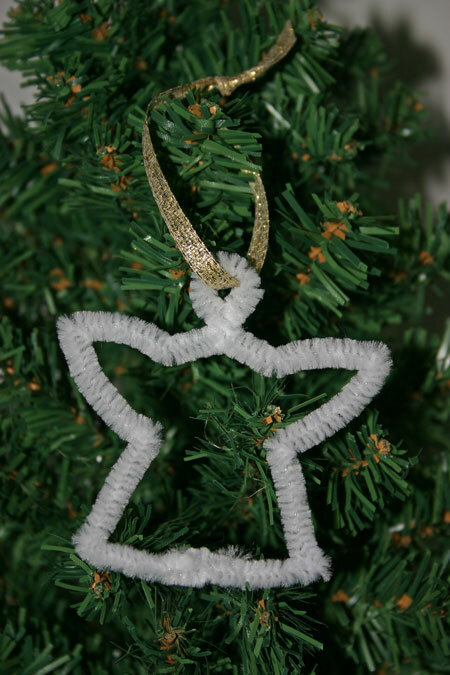 This paper star angel is simple to do. 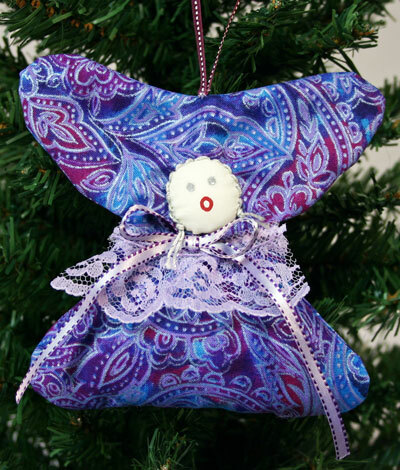 It’s made even more simple if you print the patterns onto the paper you want to use for the angel. 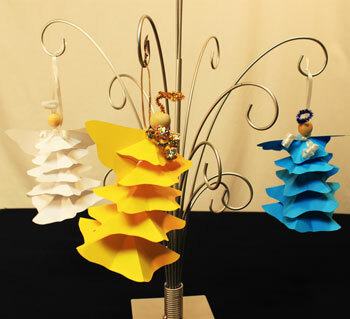 These pretty little paper star angels use five different sizes of a rounded five point star pattern to form the body and the robe of the angel. 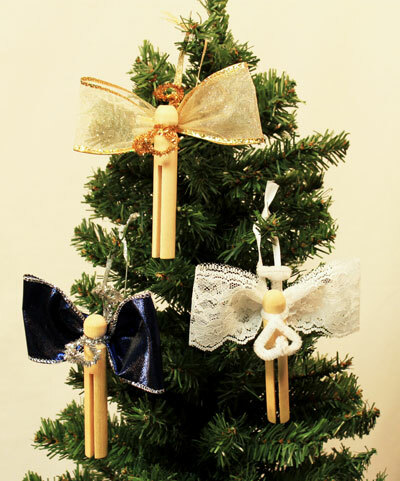 The paper star angel ornament requires only basic tools along with the paper, doll head and ribbon. Head on over to the paper star angel ornament page to find the list of materials and tools, the illustrated step-by-step instructions and the patterns to print and cut-out. 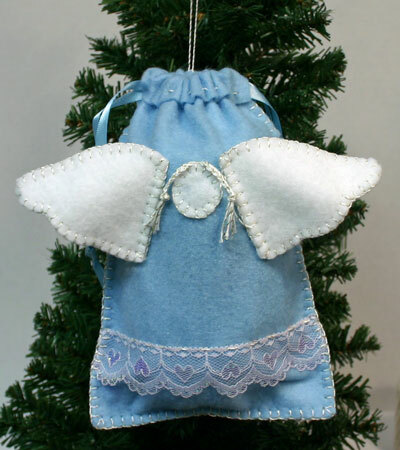 The angels can be made quickly and easily and provide inexpensive fun for children of all ages. 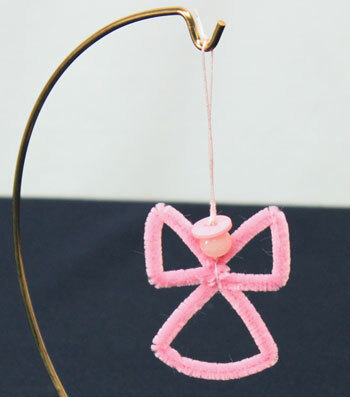 Just look at this cute wire cross angel ornament. It’s named a “wire cross” angel simply because the wire “crosses” to form the body and wings of the little angel. 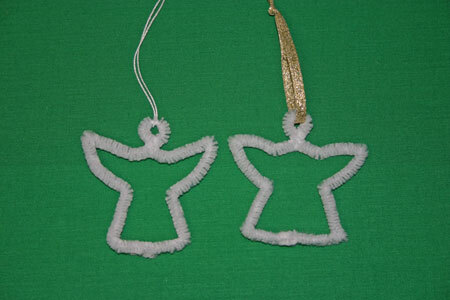 The wire cross angel ornament uses very simple and inexpensive materials along with tools you have around your home. After you make the first one or two, the steps are so easy that you can make them faster than you can read the instructions! It’s simple. It’s cute. 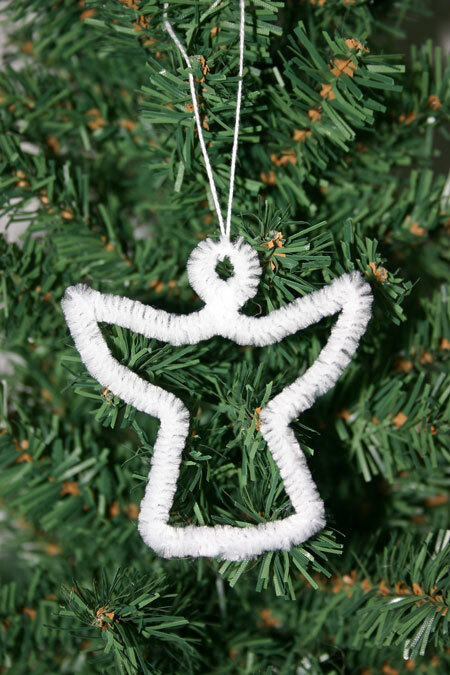 You can make a lot of these wire cross angel ornaments quickly for a school or church bazaar. 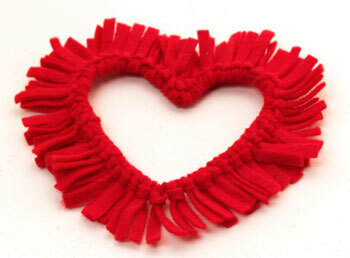 Chenille wire is inexpensive and buttons and beads can be purchased cheaply in bulk. 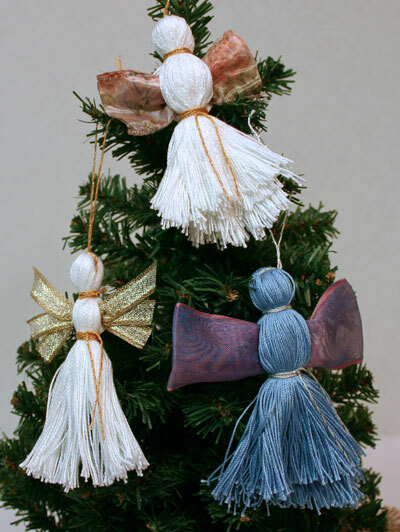 In addition to using the angels on Christmas trees or as holiday decorations, you can add the cute little angels to packages as another little gift decorating the wrapping. 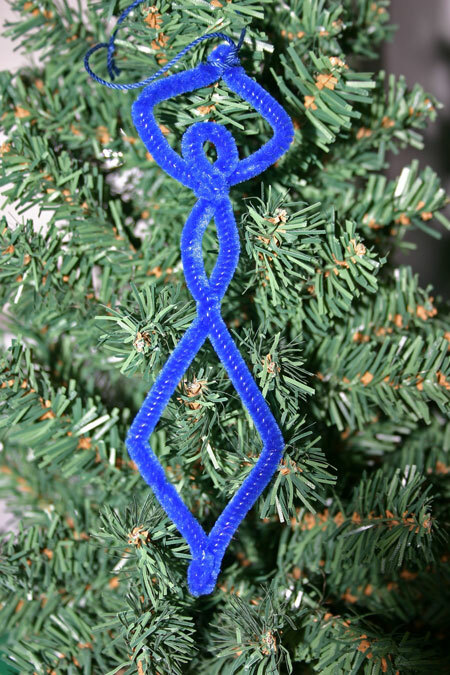 Make a few or many of the wire cross angel ornaments, but have fun! This simple and easy project takes very few materials and tools to make a pretty and cheerful jingle bell wreath ornament. 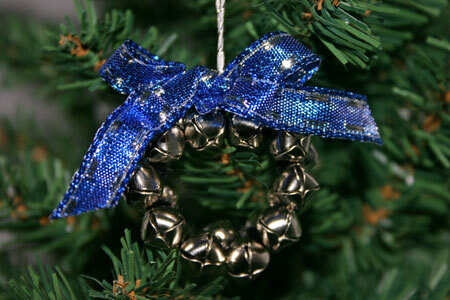 Here’s another version using silver bells with blue and silver ribbon. 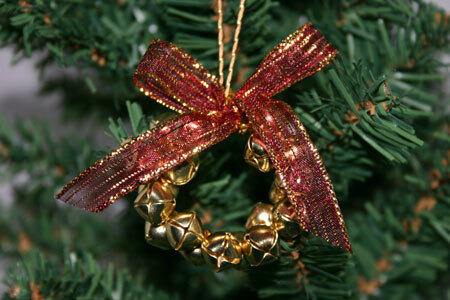 Another gold version uses red and gold ribbon. 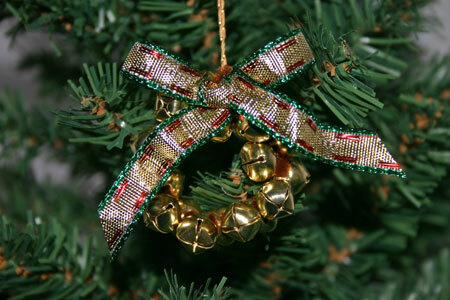 These fun and easy ornaments take very little time and very little expense to make. 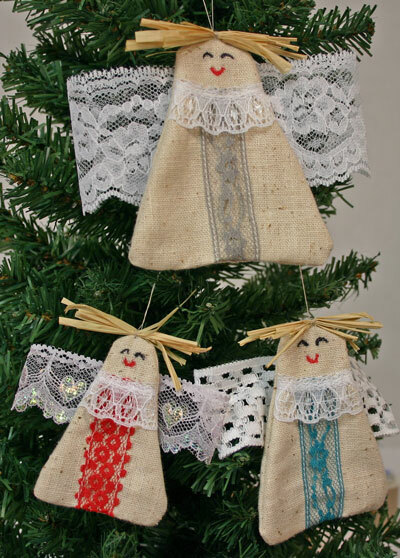 Enjoy making them as a family project to add to your tree, to trim your home or to give as gifts. 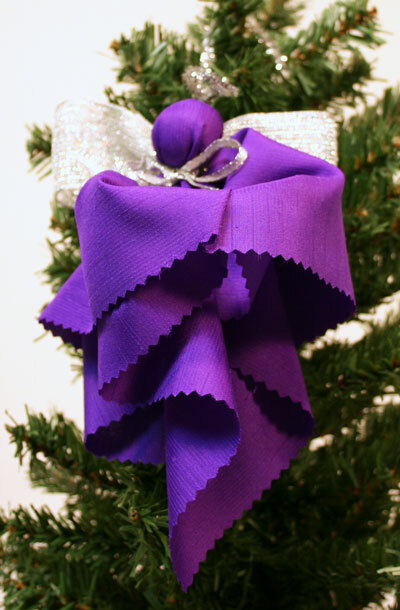 The instructions can be found at funEZcrafts’ Jingle Bell Wreath page. Here’s a snow angel that won’t melt, won’t get your behind wet and won’t get snow down your neck. This fun and easy Christmas crafts snow angel ornament requires two simple materials and just minutes of your time to make. 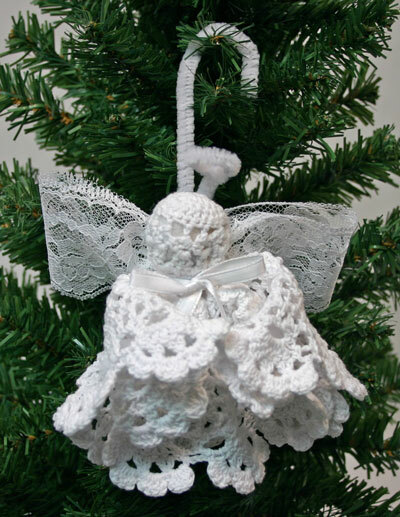 You can find the detailed how-to instructions along with pictures on our funEZcraft’s snow angel page. 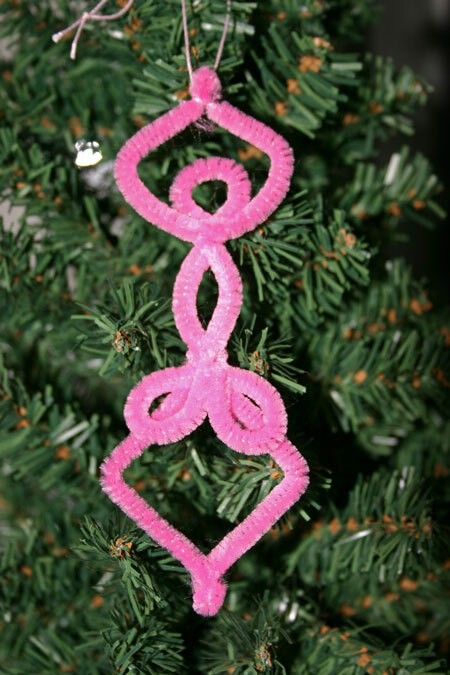 We’ve added a new and very easy ornament to our Easy Christmas Crafts section. She (or he) is a tiny dancer made of chenille wire. The girls need two twelve inch wires and the boys need one and a half wires. 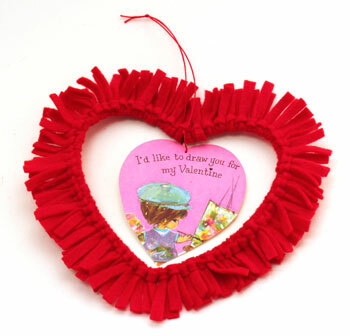 They’re fun, easy and inexpensive to make. They can be a fast project for one, or they can be a group project to make several. From children to seniors, the tiny dancers are easy and fun. Have fun making these quick and easy dancers!